I'm not only the kind of customer who brings her own mug to cafés, I’m also the one who asks to meet - or emails - shop owners to start a discussion about sustainability, either to thank them for being awesome, or to suggest an improvement. Last summer, when I moved to Portland, Tea Bar was one of the first spots I hit up for my "I work from home and need to get out otherwise I'm gonna go crazy" breaks. I had been following it on Instagram for a while and needed to see it in real life. I’m not gonna say it’s the reason why I live in NE Portland, but it definitely made the neighborhood more attractive on my map! Tea Bar is famous for its selection of carefully curated, high-quality teas sourced from family farms around the world but I have to admit that I first showed up to have my bubble tea fix. When I was living in Lausanne, Switzerland, I had my regular bubble tea spot, so I needed to find one to replace it in my new hometown asap. 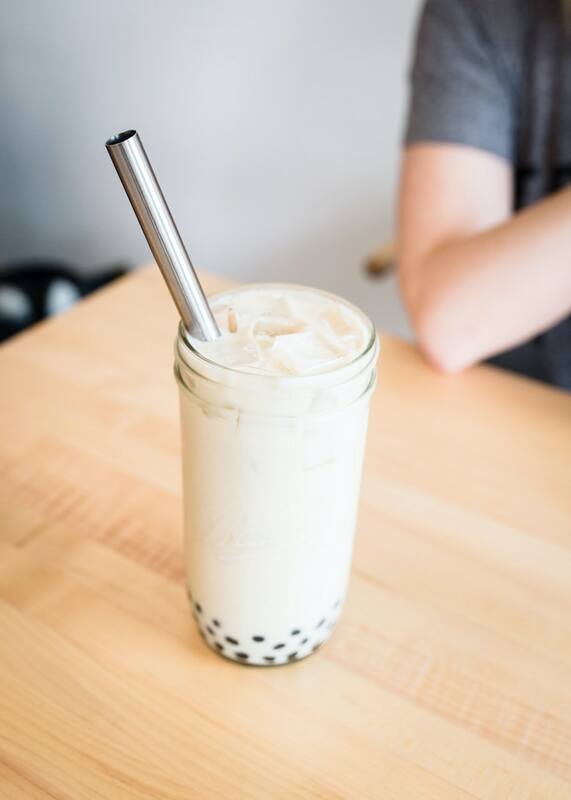 Tea Bar’s atmosphere is serene, the baristas are welcoming and understanding, the crowd is young and eclectic and I discovered my new favorite drink: the taro boba, a close second is the matcha, and third the vanilla rose… the list goes on! I now love it so much that I made Octave try out Erica’s recipe so we can also make it at home. 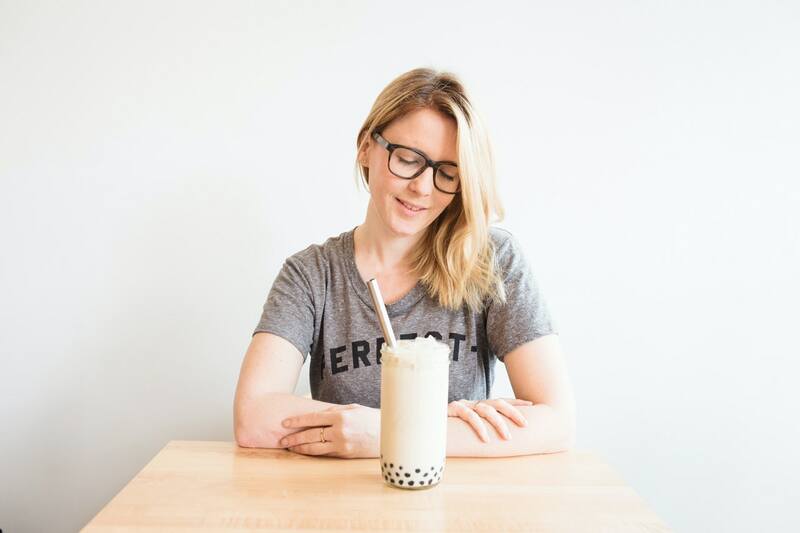 Erica is the kind and talented owner of Tea Bar. 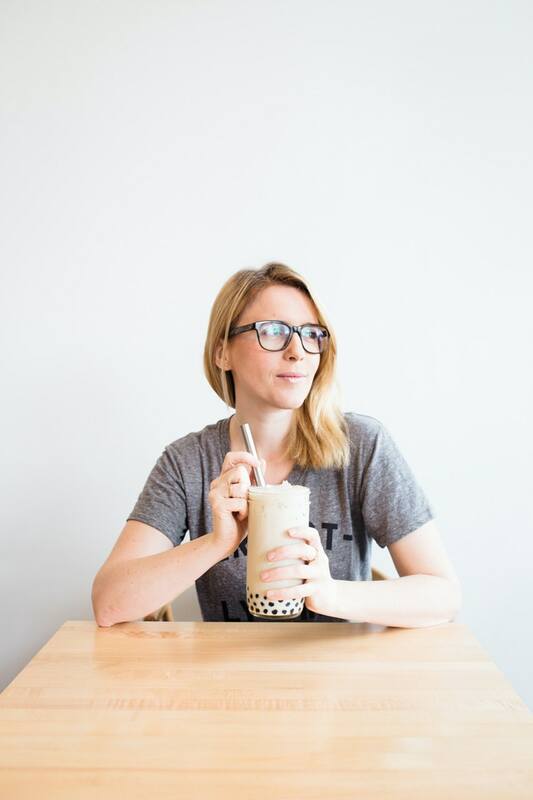 I first contacted her right after my first visit, commenting on the fact that I had found stainless steel bubble tea straws online and sharing the info with her. The second time was because I had this idea in mind to share with my readers and followers my favorite spots in Portland (those who encourage sustainable practices or tolerate their client’s) and before I knew it, I was at Tea Bar with my favorite sweet drink in hand, having my picture taken by Candace, Tea Bar’s talented photographer. Do you recognize my tee? I could talk about the community that surrounds Tea Bar, how awesome events are hosted there on y regular basis but this could be the subject of a whole other article. So, let’s talk about sustainability. 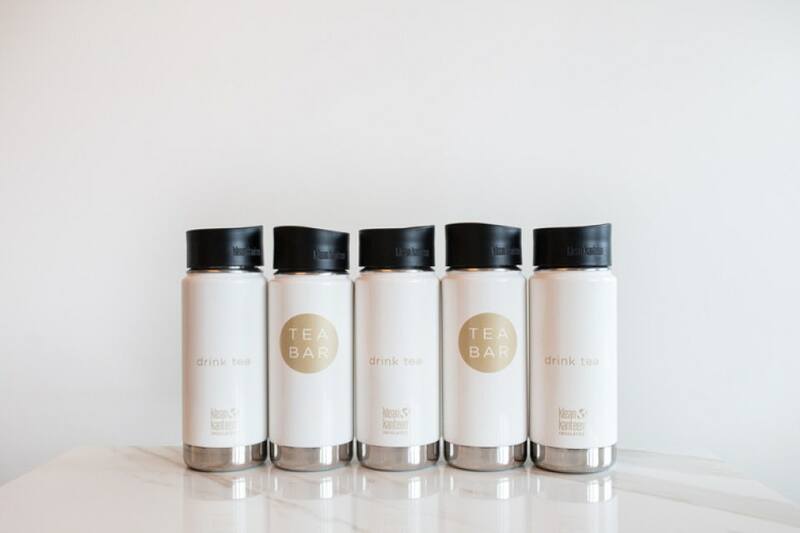 Unlike other bubble tea places, Tea Bar serves its drinks in branded mason jar mugs and also sells canteens which you can convert into to-go mugs with café caps (your drink is on them when you purchase one of their Limited Edition Gold and White at the shop). Of course, like me, you can always bring your own mug and straw. As I said earlier, I suggested the idea to use stainless steel straws and also commented on the fact that pastries could be served on real plates rather than paper bags when consumed on location but I appreciate what has already been done at Tea Bar to encourage their customers to bring their own containers. 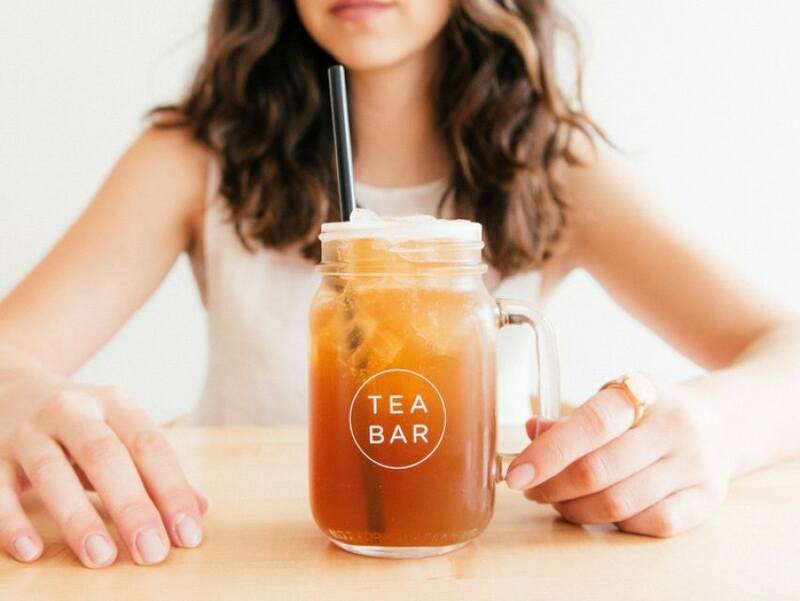 By the way, this week only, you Conscious by Chloé readers can get 10% off a mason jar and/or a canteen on Tea Bar's online shop with the code CONSCIOUS. For any questions, don't hesitate to contact Tea Bar. And keep your eyes peeled, a second Tea Bar location is about to open in SE on Division! What are you favorite conscious businesses in your neighborhood? Share them in the comments section with me. The Zero Waste Bloggers Network is working on an international guide and needs your tips! Pictures by Candace Molatore​ for Conscious by Chloé.